So the anticipation Marvel Studio’s next Spider-Man film, Spider-Man: Far From Home, is REAL…but, besides the title, there’s not a ton we know about the upcoming sequel, with the exception of rumors. And, ICYMI, one of the MAJOR rumors this summer was that Jake Gyllenhaal would be playing the film’s main villain, Mysterio, opposite Tom Holland’s precious web-slinger. 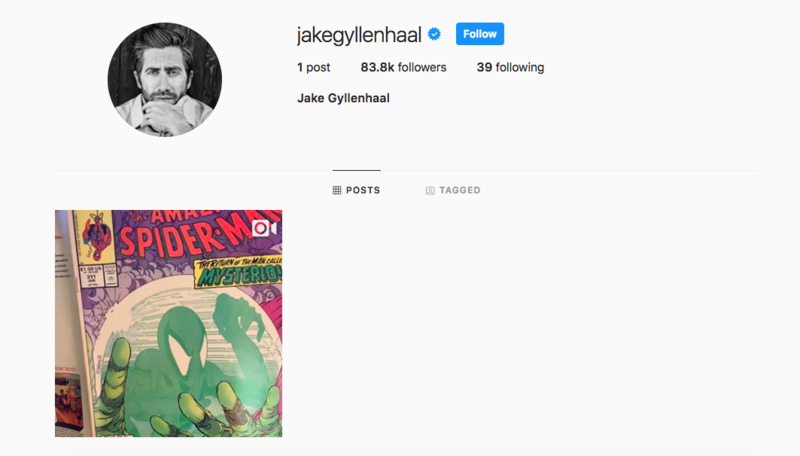 Well, I’m happy to say that this is a rumor NO MORE, as today none other than Mr. Jake Gyllenhaal himself joined Instagram to post a VERY important, single video. OKAY, SO NOW THAT WE’VE ALL WATCHED IT, LET’S DISSECT THIS, SHALL WE?